SWIFT has now officially landed on Twitter. Follow us on @SWIFT_women for SWIFT updates and other news about HIV and women. 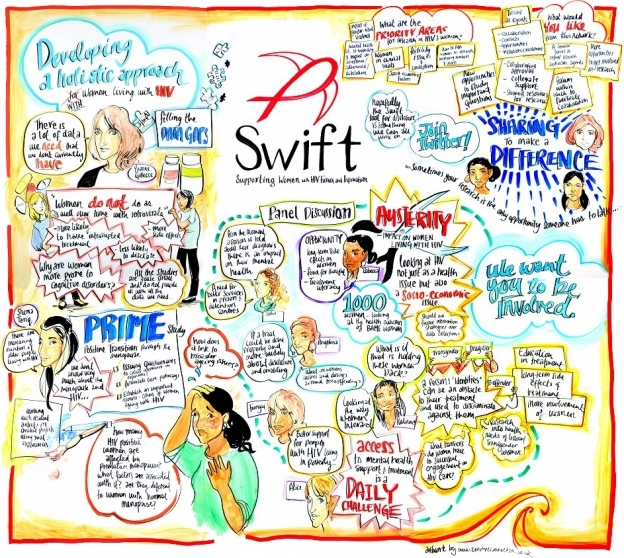 We were delighted to welcome over 30 members from across the UK and Ireland to our inaugural SWIFT meeting in Central London. We heard an overview of the project from our chair Yvonne Gilleece, and had an insight into an exciting new research project looking at the menopause and HIV from Steering Group member Shema Tariq. After some networking time, the group came together to brainstorm key themes in research in HIV and women. These themes will inform the development of our special interest groups.